Chandler, Arizona’s real estate market is experiencing substantial improvement in residential activity with lower available home inventory and higher home sales. This improvement is primarily due to increased buyer demand for homes as a result of lower home prices, low interest rates, and the $8,000 first-time homebuyer tax credit, all of which are spurring interest by buyers to purchase homes. To understand the changes currently taking place in the Chandler housing market, there are three areas that require review—the number of available Chandler homes for sale, the number of Chandler homes under contract for purchase, and the number of sold Chandler homes. Available Chandler home inventory has been experiencing a modest decline and is now at a three year low. The rate of decline is lower when compared to other real estate markets of the Phoenix Metropolitan area where buyer demand is more robust, but Chandler has generally been less impacted by the market downturn than those same communities. The decline in inventory is largely due to the overall improvement in buyer demand rather than cancellations and expirations of property listings. Buyer demand, as measured by the number of actively marketed Chandler homes currently under contract for purchase in Chandler, is showing impressive improvement. 25.6% of the properties currently for sale in the Chandler real estate market are under contract, a 9% point increase since November 2008. More striking is that 5 points of that improvement has taken place within the last 30 days. Put another way, for every 10 homes on the market, there are now 2 ½ buyers vs. 2 buyers a month ago. Comparing against prior years, Chandler’s performance is surpassing that seen in the 2006-2008 period though still less than that seen in the 2003-2005 period. As mentioned earlier, buyers are being spurred on by three major factors. First, Chandler home prices have declined to such an extent that the prices are attracting attention. Second, interest rates are at historical lows with borrowers attaining loans with as little as a 4-5% interest rate. Third, “first-time homebuyers” who are eligible receive a $8,000 tax credit for purchasing a home. This money does not have to be repaid unlike the previous homebuyer tax credit program. The improvement in buyer demand is working to reduce existing inventory as more buyers are stepping up to purchase Chandler homes. Chandler home sales activity is beginning to show greater strength in sales over 2008 trends as the number of homes under contract for purchase rises. In the last 30 days, sales activity has begun to separate more clearly away from 2008 levels. It is important to note that 2008 appears as the low point for closed sales activity in Chandler. Given the pending home sales performance mentioned above, we should expect to see the number of actual closed sales increase over the coming 1-3 months. Indicators are that Chandler real estate will post stronger numbers than that seen in 2008. Chandler, like many Valley communities, has been beset by foreclosures and short sales which have forced prices down aggressively from market highs. Valleywide, the number of foreclosures do represent a trouble spot for the Chandler real estate market. Indeed, the 90-day rolling average for the number of Trustee’s Sale notices issued daily continues to grow with over 300 notices given per day. As well, the number of actual Trustee’s Sale or foreclosure auction proceedings per day is growing and represents approximately 140 foreclosures daily. Together, these figures point to an increased number of foreclosed homes entering the marketplace in the near term, potentially driving down pricing for existing homes. Overall, the Chandler real estate market is clearly experiencing improvement. In the next 1-3 months, we should hope to see additional erosion of available Chandler homes inventory given buyer demand. Though we could see a steady sloping of pending sales activity as the year progresses, the trend should maintain a higher level than that seen in the last two to three year period. Actual 2009 Chandler home sales should post better results going forward for Chandler than that seen in 2008. In summary, Chandler real estate appears to be shoring up and laying a more solid foundation for further improvement resulting in reduced inventory, higher pending sales activity, and higher home sales. Though more foreclosures loom in the marketplace, the outlook for the Chandler real estate market is more promising for the moment. Time will tell. David Lorti is a professional Realtor for Thompson’s Realty in the Phoenix Real Estate Market market. He holds a MBA and Certified Negotiation Expert designation and his insights have been quoted in numerous news outlets. 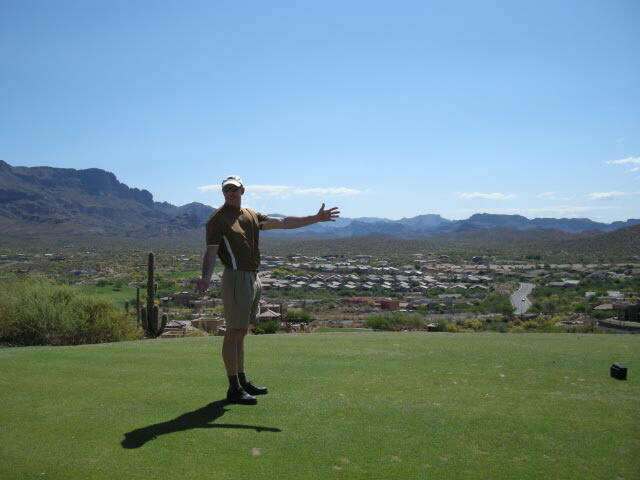 His website, LortiHomesArizona.com, and blog, LortiHomesBlog.com, offer additional market insights on Ahwatukee Real Estate, Chandler Real Estate, Gilbert Real Estate, and all parts of the Phoenix area.